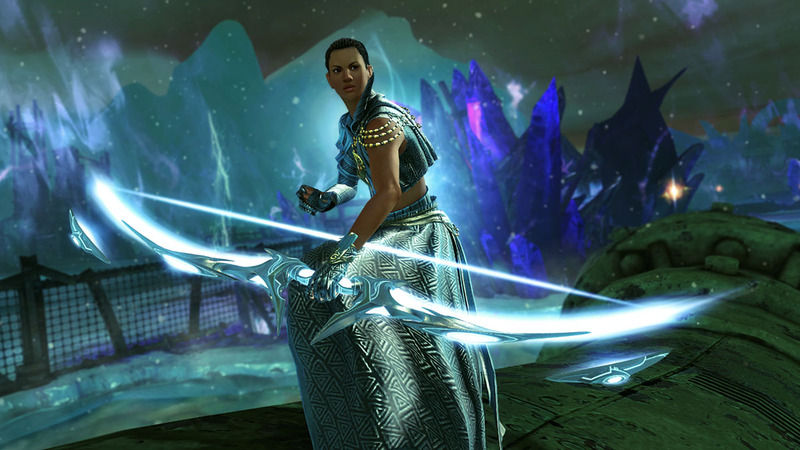 Guild Wars 2 has released its last episode of Season 4, All or Nothing last week. The 5th episode wraps up the Kralkatorric storyline and also introduces a new map, fractal and legendary weapon. Having gone through the good stuff, here’s our review of All or Nothing. In Episode 5, players are finally ready to face Kralkattorik, the Elder Dragon that’s been terrorizing Tyria this entire season. Picking up where we last left off in Episode 4, our band of heroes finally decides to lure Kralkatorric to Thunderhead Keep, where we have discovered a way to end his existence. With Scion and Champion at the helm, what could go wrong? The answer is everything. While we won’t share spoilers here, All or Nothing provided a huge emotional twist ending that leaves the future of Tyria in turmoil. Guild Wars players are returning to Thunderhead Peaks for the first time since the first game in this episode. Naturally, there are a few modern differences this time around, thanks to the Kralkatorrik and his branded minions. The map itself is pretty large and definitely the biggest this season, with plenty of events to do and places to explore. Expect the usual meta chain events, PoI, Vistas, Heart tasks and more. Episode 5 All or Nothing also gave players a brand new generation 2 legendary weapon to craft. Pharus is a light-themed longbow with an intricate design. While in use, it shifts into a mass of white light in the shape of a bow, complete with a bowstring of light. In its stowed state, the bow is solid, and marginally smaller as well as subtler in appearance. It does have a precursor and like most legendaries, requires a ton of materials. Ultimately, it’s a solid looking longbow for anyone that wants the cosmetic. This time around, the we know exactly what’s happening on a Season 4 map: we’re attempting to kill an Elder Dragon in Guild Wars 2, not for the firs time. With that in mind, most of the map events and the meta are centered around this. Everyone that’s an ally to your cause is here, and are making preparations for the big final fight. The two meta events take place both north and south of the Thunderhead Peaks, and they are different yet connected. The north or Keep meta, involves storming Thunderhead Keep with Logan, Rytlock and Canach to kill a boss in order to receive a top half of a Light of Deldrimor plate. The south event is all about gathering oil which drops the bottom half. Combine the two for a daily puzzle event that is necessary to unlock the Dragonsblood weapons for the collection. Both are decent with lots of players, but can feel repetitive if done daily. You can also buy the two plates separate or combine from the Trading Post if you don’t want to do the meta events daily. Above we covered what’s needed to get started on these weapons. Simply put, you’ll need to do the two map meta events daily to loot the hidden chest in the keep catacombs. The map currency – branded mass – is also required in large quantities alongside Laurels in order to barter for Dragonsblood weapon recipes. So are they worth doing? It’ll take months to get a full sett for the casual player, and it’s an alternative way to get both exotics and ascended weapons down the line. The diviner stats on them means Guardians, Revenants and Memsers benefit the most, but remember you can always change stats later on. Aesthetically, the look and glow can be seen below.